The non-provisional application is the complete patent application which is filed with the United States Patent Office which may result in a registered patent. 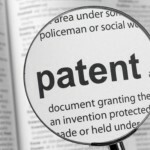 Technically it can be either a Utility or Design Patent, but most people simply refer to it in the context of a Utility patent. In comparison to a provisional application, the non-provisional patent is a more complete, comprehensive patent application. Though it costs more than the provisional application, it is the only application officially reviewed by the U.S. Patent Office, unlike the provisional patent application. The non-provisional utility patent application typically has a duration of 20 years from the filing date and which may result in 21 years from the filing date of the provisional application. If you consider the provisional/non-provisional process as a 2-step process, the provisional application is the first-step and the filing of a non-provisional is the second-step in that 2-Step process. Alternatively, you can simply proceed to the second step and skip the provisional application step. If you are interested in filing a non-provisional application, it is highly recommended that you consult with one of our experienced patent attorneys to prepare and file the non-provisional patent application.